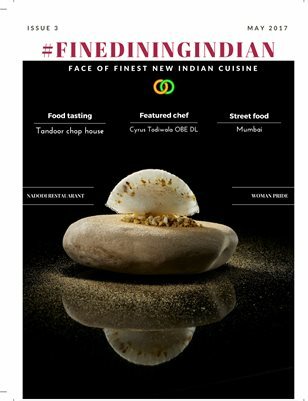 Welcome dear all to our May 2017 Issue of Fine Dining Indian MagazineWe have been very fortunate to collaborate with few great Indian chefs and restaurants through our past two Issues. Our featured Chef Gaggan from April Issue is Now No.7 In the worlds 50 best Restaurant List. A proud Moment for any Indian and Chefs.In our May Issue we are very grateful for Chef Cyrus Todiwala to patiently respond to our questions and share his thoughts about his long successful career. Story from world’s best Indian Restaurant Gaggan . How they pulled back to be on Top.